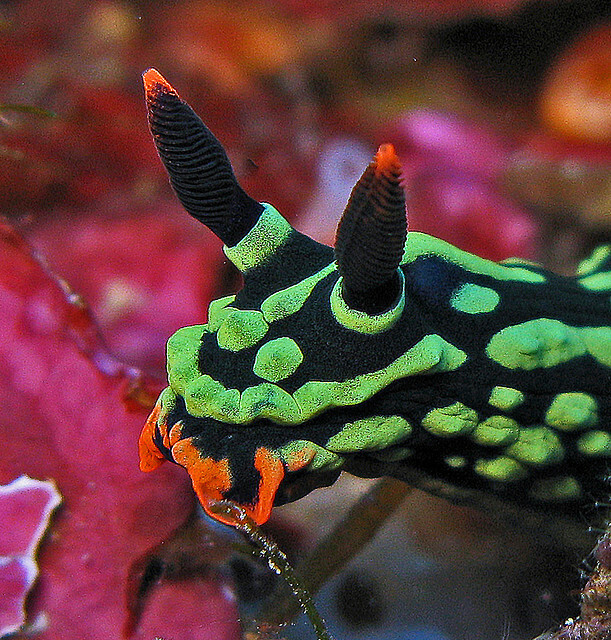 Sea slugs are brightly colored invertebrates that shed their shell after their larval stage. Their bright coloration can act as both camouflage against the reef or as warning colors to potential predators. They feed on plankton and decaying matter on the ocean floor. Tropical seas around the world. They tend to stay at the bottom amongst the sediments. The sea slugs bright coloration make it a popular diving attraction.